Shake it, make it, paint it! Shaker Maker is the ultimate creative sculpture kit to make and paint amazing detailed statuettes of children's most loved characters. 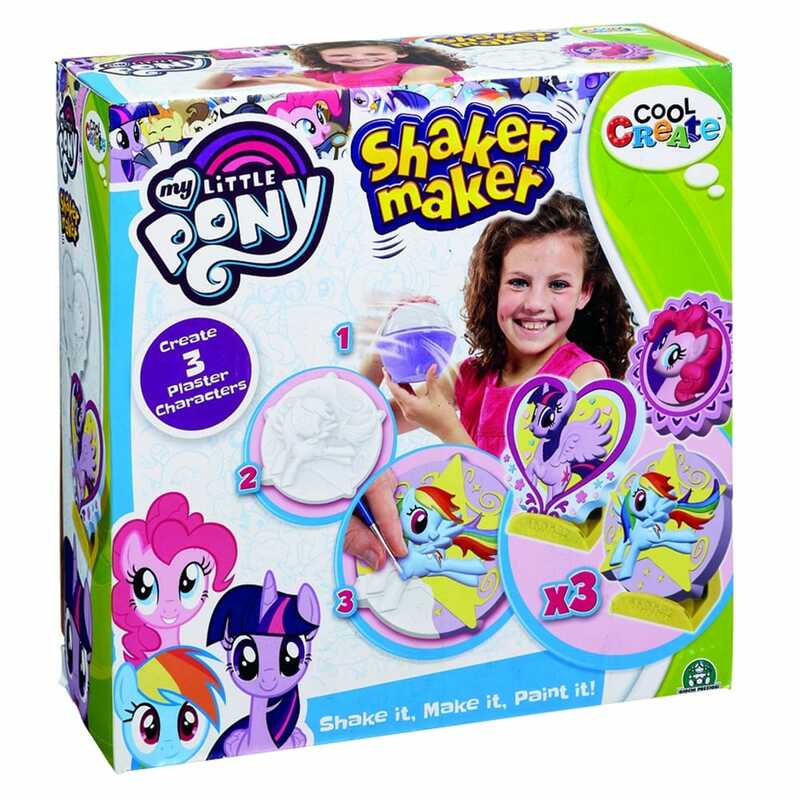 The My Little Pony Shaker Maker creates three beautiful My Little Pony characters Rainbow Dash, Pinkie Pie and Twilight Sparkle to make and display. Simply fill the Shaker Maker cup with warm water to the line indicated and then place your character mould inside the unit and then pour in the Shaker Maker powder then seal the lid tightly and shake! Leave to stand until dry, next carefully remove the moulds and paint your creation with the paint brush and set of paints provided. Contents: 1 Shaker Maker orb unit, 3 My Little Pony character moulds, 2 display stands, 1 paint brush, 1 set of paints, 3 packs of Shaker Maker powder and instructions.